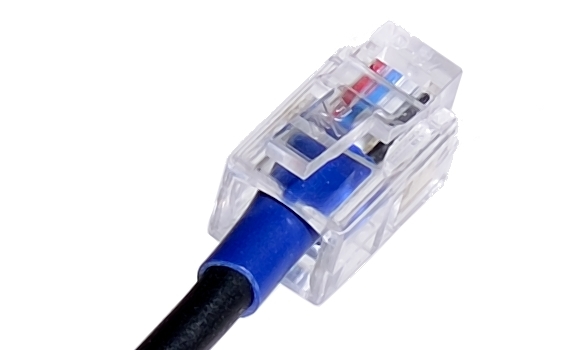 AASTRA, Altigen, Allworx, Avaya, FortiFone, Mitel, NEC, Nortel, Meridian, Norstar, PolyCom, ShoreTel, Talkswitch, ATCOM, FANVIL, FORTIFONE, HTEK, METROTEL, OPENVOX, SANGOMA phones with RJ9, RJ11 headset jack. 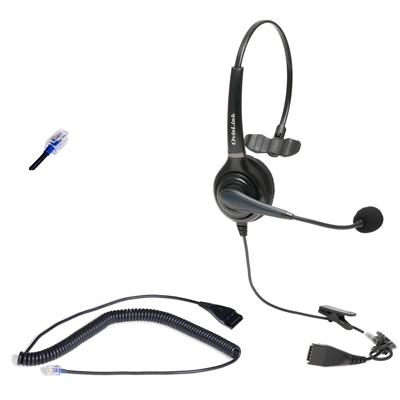 Premium voice quality call center headset with noise cancelling microphone phone for office phones with RJ9, RJ11 headset jack. 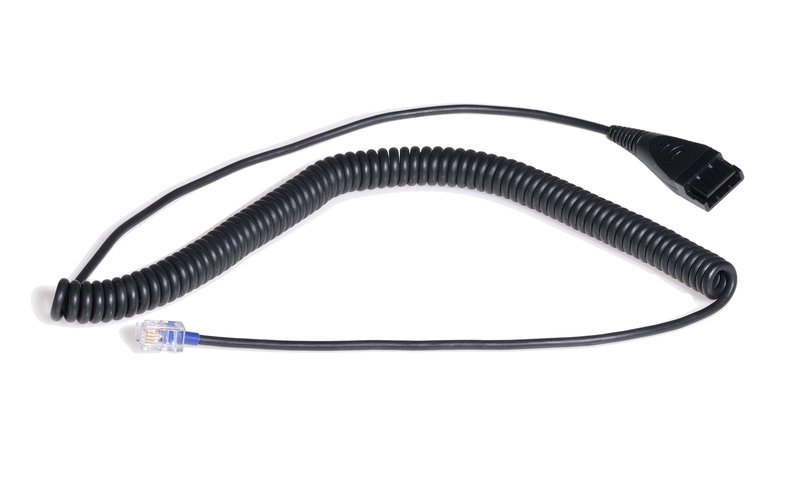 It is Over-the-Head style with adjustable headband, manageable microphone stem and rotatable microphone boom that you may place the earpiece on your left or right ear anytime you want. 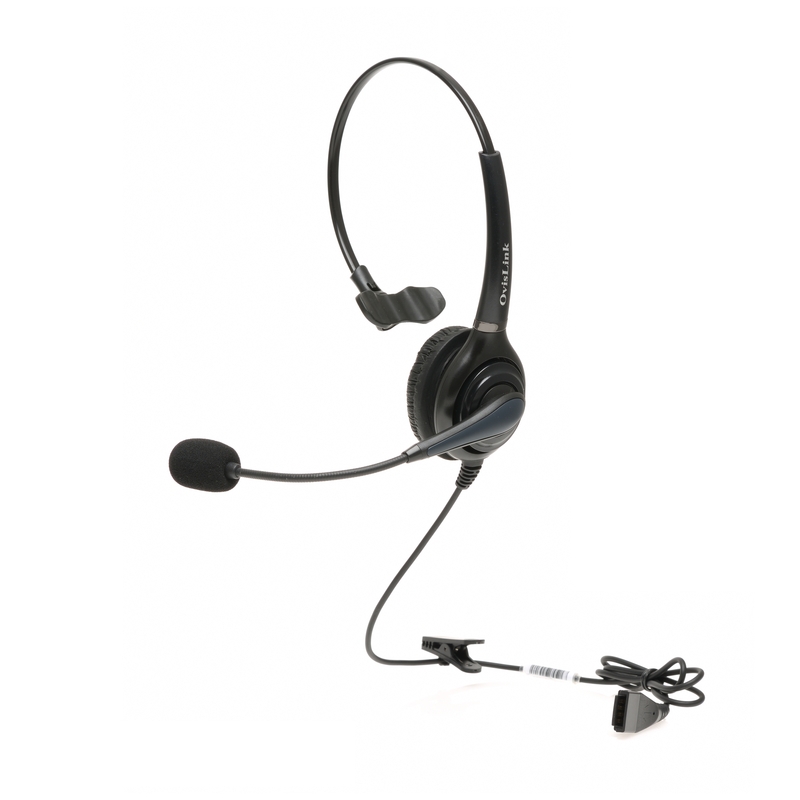 With this headset you can have your phone conversation in solid clear human voice tone and without any electrical noise nor statics. The headset is light in weight, comes with smooth leatherette ear cushion. All these features together give you All-Days comfort! 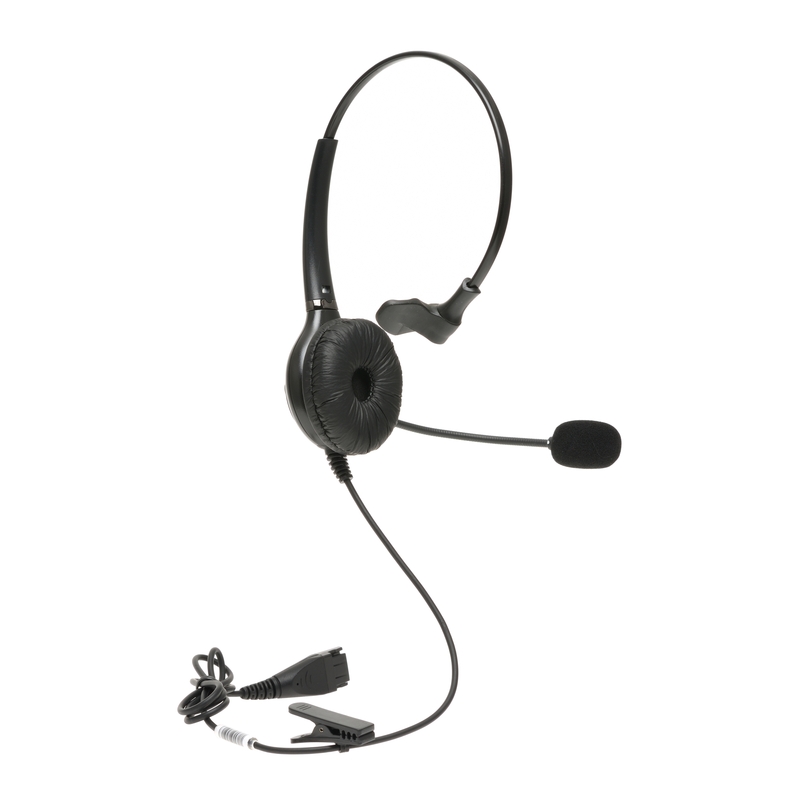 The OVHS072-P1 model is a complete set of headset, no need additional device, no need battery. Polycom VVX series IP phones, SoundPoint IP Phone Models have RJ9 headset jack, AASTRA, Altigen (AT510, IP-600 & IP705, IP-710), Allworx, Avaya, FortiFone, Mitel, NEC, Nortel, Meridian, Norstar, PolyCom, ShoreTel, Talkswitch, ATCOM, FANVIL, FORTIFONE, HTEK, METROTEL, OPENVOX, SANGOMA phones with RJ9, RJ11 headset jack. *** Not compatible models: Avaya Callmaster, Avaya 16xx, 96xx Series. Polycom Soundpoint IP phones with 2.5mm headset jack. Please check the manufacture website for the compatible headset model for your phone.